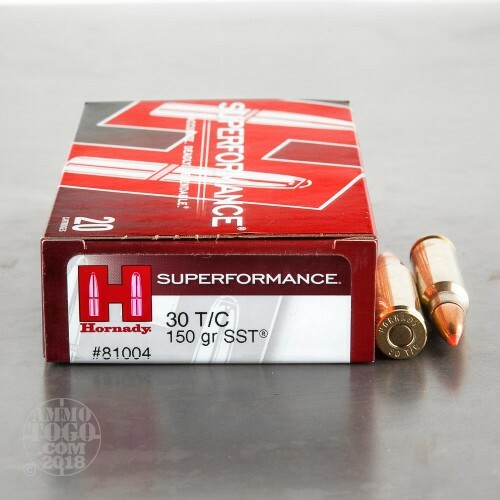 Hornady developed the 30 Thompson Center (also known as the 30 TC) cartridge for Thompson Center Arms and first introduced it for sale in 2007. As the cartridge’s originator, you can count on Hornady to have given this round all the fine quality it needs to excel while you’re in pursuit of game out in the woods. This cartridge sports a 150 grain SST projectile. It’s ideal for hunting owing to its ability to expand -- upon impact the bullet’s tip wedges into its core, causing it and its jacket to mushroom widely. The SST additionally features an InterLock ring and cannelure which together provide the weight retention necessary for deep penetration. 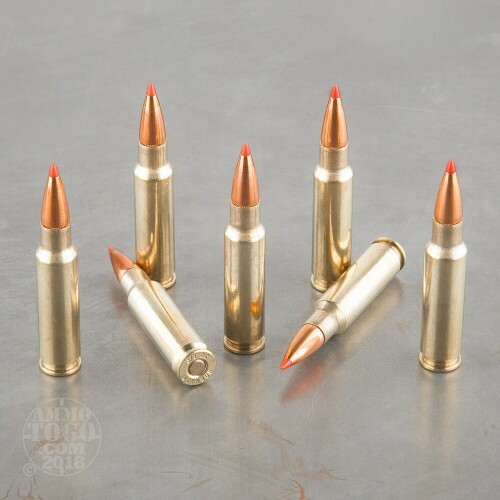 This round’s projectile dons a tapered base to greatly enhance its ballistic coefficient. It also features a secant ogive profile, and its pointed meplat does much to optimize its aerodynamic profile. As the result the SST’s flat trajectory and ability to deliver much energy on impact are of great value during a hunt. 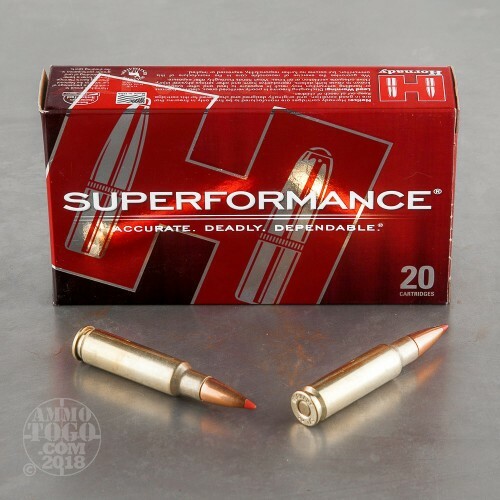 This round is from Hornady’s Superperformance line of ammunition, which increases a rifle’s muzzle velocity up to 200 fps without adding unwanted side effects. 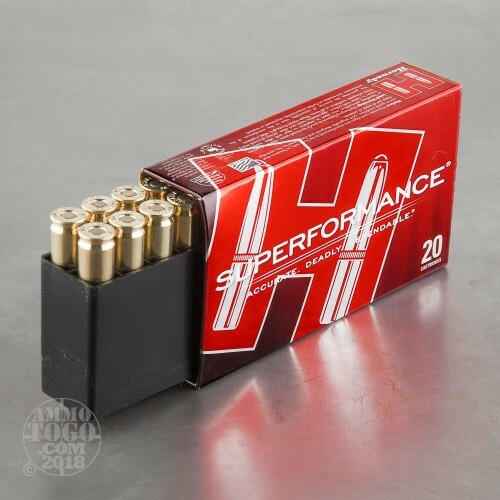 Its casing and primer represent the best that Hornady is able to provide, and its propellant burns without leaving a great many unwanted residues in the action and bore.